…It would be a strand of DNA going down my crooked spine. I highly doubt this will ever come into fruition, but you have to admit it is a pretty cool concept. It would be super detailed including proteins and enzymes and all that good stuff. 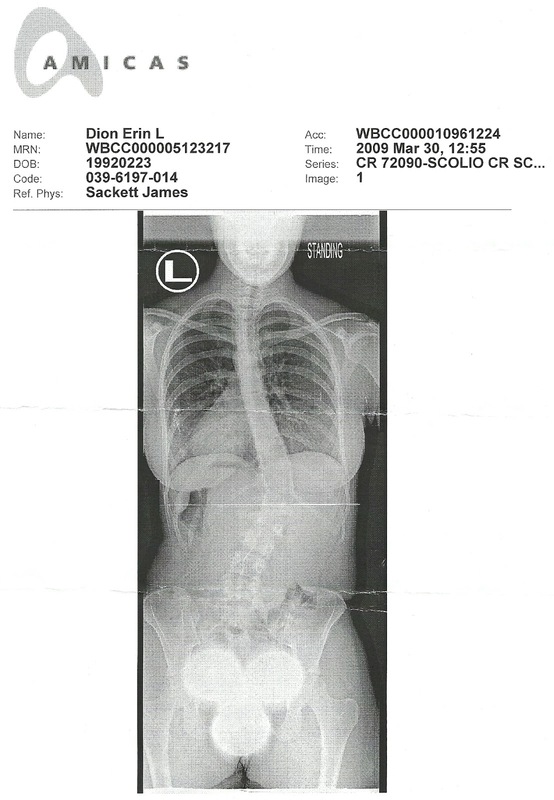 Below is an old image of my spine. 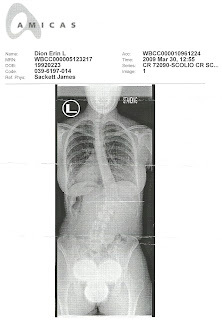 It has gotten worse since the time this x-ray was taken, but I gave that newer image to my chiropractor. Feel free to comment if you think it is a crazy good idea or just crazy.